The ancient parish contains only one township, namely Rhydellteyrn. It is a very small parish, being less than one square mile in extent. 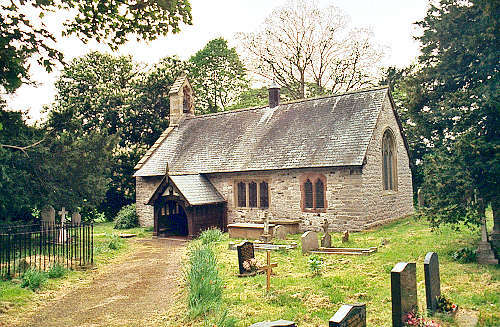 The church was founded in the fifth century by St. Hychan. It was mentioned in the Norwich Taxation of 1254. It was restored in 1877/1878, and was re-opened on 28 February 1878. For family history information about the church and parish, visit the GenUKI Llanychan page.